Well, maybe. My absence probably didn't instill fondness. I certainly don't think the saying applies to blogs. Absence makes for complete silence. And no readers. But that's okay, I'm not doing this anymore to generate more links, nor to set myself up as an "expert" in what I do. I'm simply doing this to share what's happening in my life as a costumer and multi-media artist. I thought I should update you all on what's happening and why I haven't posted for so long. As you may (or may not) know, I was re-hired back at the University of San Diego in the position that I held three years prior. I am the theatre program's Costume Designer for both the undergraduate and graduate student productions. This has impacted my business significantly. In more precise terms: it came to a screeching halt. I had my first big official "art fair" (as opposed to a street fair) and sold about $1000 worth of my previously built stock, but it came at a high price... I was overwhelmed. I had just opened a show at my school, and I was trying to do both at the same time. I was exhausted and strung out. I was happy that I was selling a lot, and that I had finally found my "niche" as the crowds were there specifically for my kind of stuff, but I couldn't then take the next step and exploit the opportunities. My job at my school took priority. And what a priority it was. I had been originally contracted to do one show in my first semester back. But I ended up doing another show and teaching two classes in Fundamentals of Theatrical Design on top of that. I was completely inundated with work. And Relished Artistry took a back seat. With my university position comes benefits. And I need them. Health insurance is nothing to laugh at, and I hadn't seen a doctor since I left three years prior... So I couldn't shirk my responsibilities at USD. And since they were overwhelming, my business had to give. This semester, I'm happy to say that I only have two shows on my plate. One is a period extravaganza--Tartuffe-- and the other is a devised theatre project written by the students that no one knows what it may turn out to be... I am going to have a bit more time for my business projects (as long as I can keep my fingers sewing at warp speed) come April. Until then, I have decided to drop the LLC portion of my business and make it a sole-proprietorship, which is a good thing as I was advised I wasn't making enough money to warrant having an LLC, really... This alleviates a bit of pressure, I think. And while it doesn't make things much simpler, it will be better for me in the long run. So. That's where I am today. Regardless, I've been a bit busy. My two shows this past fall, Anatomy of Gray and The Beaux' Stratagem were successful. I'll try to post pics of them as soon as I can. And as I said, my first official Art Fair (the La Jolla Art and Wine Festival) was a big success and I'll post on that one as soon as I can as well. But I had a moment to get this written, and figured I'd put it off for far too long. 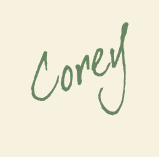 Corey, it's good to have a job that pays regular. I haven't had that for many years. Luckily hubs has a job. It's too bad you couldn't follow up with the Art Fair success but now you know where to go next time. Thanks for the photoshop link. I'm always looking for photoshop tutes because I'm so bad at it! Blog ambivalence. It's true that no one probably misses us when we do not post but it's like you're letting down something you've committed to. I am getting back into it as well, may be a way to write creatively and keep up my place in the world (that may be egotistical but oh well). See www.susanlinnetcox.com, author blog.